The new recruits are eBay Australia’s marketing and advertising sales director, Steve Brennan; Omnicom Media Group CEO, Leigh Terry; News Corp Australia’s new group marketing director, Damian Eales; and national leader of digital change and digital intelligence at PwC Australia, Jason Juma-Ross. 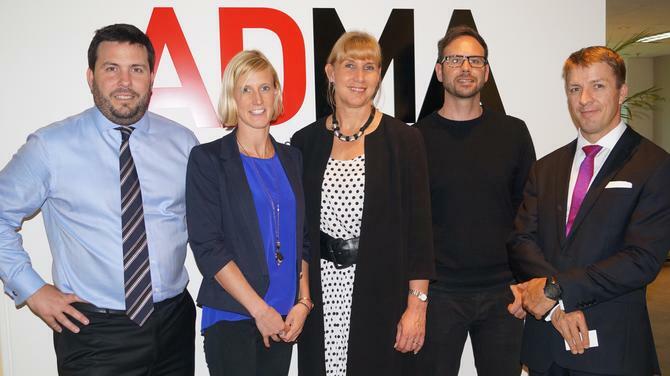 The four join ADMA chair board, Karen Ganschow, who continues in her role and will lead the executive committee for another year in partnership with past chair and director of Quantium, Tony Davis. “With Steve, Leigh, Damian and Jason on-board, we will have more online retail, media services, digital and multi-platform media experience at our table,” Ganschow commented. Current board members, SAS Australia CEO David Bowie, and Woolworths general manager of customer engagement, Emily Amos, are stepping up to vice-chair and treasurer roles respectively. Other board members for 2014 are ADMA’s Sangster; Clemenger BBDO Sydney CEO, Andy Pontin; Google head of marketing, Lucinda Barlow; Qantas Loyalty chief commercial officer, Rob Colwell; and Foxtel CMO, Chantal Walker. Last month, ADMA launched a new Queensland branch to help foster more networking activities in the sunshine state.